The British Aikido Association was founded in 1966 in order to promote and maintain the ethical and technical standards of Tomiki Aikido in the United Kingdom. There are BAA approved Clubs & Dojo in all parts of Britain. On an international basis the BAA is affiliated to the Japan Aikido Association. In its purest form, Daitoryu Aikijujutsu is powerful system for self defence that uses connected body mechanics and soft movements to unbalance an attacker at the moment of contact. Island. It is lead by Shaun Hoddy, 6th Dan. Meikyokai Dojo teaches the Japanese martial art of Aikido with venues in Bexley and Swanley in Kent/SE London. Under the technical guidance of Robert Mustard Sensei, 7th Dan Yoshinkan Aikido, they offer both adult and children classes which cater for all level’s of ability as well as for the more experienced martial artist looking to train in Aikido. Martial arts academy located in Canterbury. 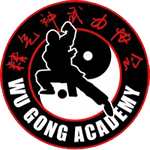 Classes are suitable for everybody of all ages, and are taught by Barry Phelan 20 times Tai Chi Champion, who has been training in Tai Chi for over 15 years.Taichi, Kungfu, Chinese Kickboxing.